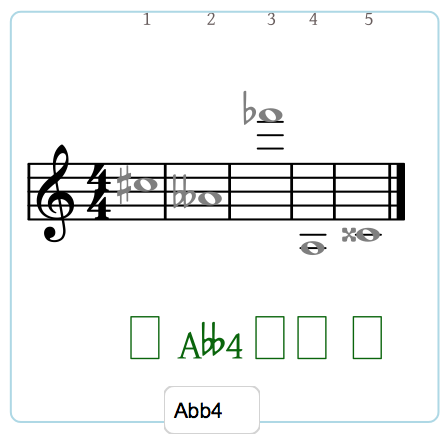 To enter a pitch, click on the theory line entry and type in text that includes the pitch's pitch class letter name and octave number. The pitch class is the name of the pitch without its octave designation. 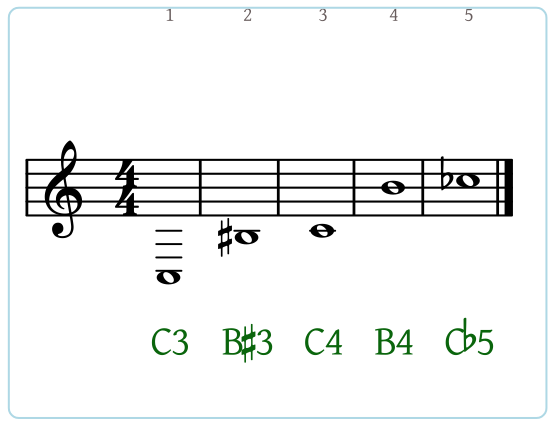 It consists of a lower- or upper-case pitch letter C D E F G A B followed by an optional accidental: sharp, flat, natural, double-sharp or double-flat. For a pitch letter, type a lower- or upper-case C D E F G A or B. For a sharp, type the symbol '#' or a lower- or upper-case 's'. For a flat, type the lower-case letter 'b' or a lower- or upper-case 'f'. For a natural, type a lower- or upper-case 'n'. For a double-sharp, type the symbols '##' or the lower- or upper-case 'ss'. For a double-flat, type the lower-case letters 'bb' or a lower- or upper-case 'ff'. Click on an entry box to open the theory line editor just beneath the theory line. 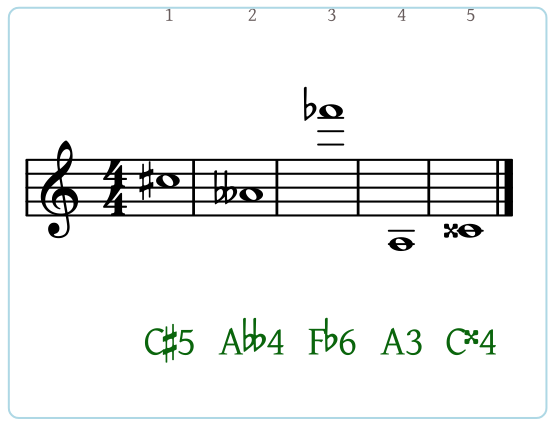 Type the pitch (pitch class and octave) as described above into the theory line editor. 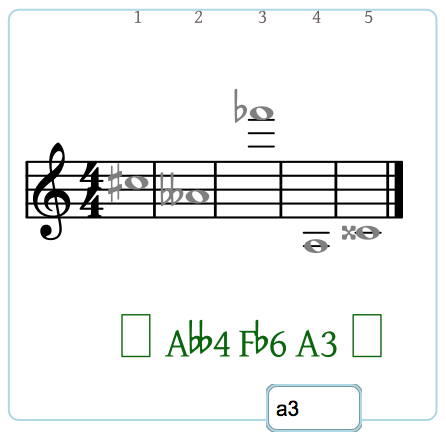 As you type, your input will be engraved in the theory line in proper music notation. When you are finished typing, press Return or use the Tab key to move to the next entry in the theory line.